A Banana Gelato Parfait with Brownie Bites and Toasted Hazelnuts is a delicious treat for the summer! Bananas are wonderful in their natural state, however, they become something special when turned into a cold, sweet Italian Gelato. Homemade Gelato is easy with an automatic gelato machine. The Cuisinart ICE-100 Compressor Ice Cream/Gelato Maker is a great choice. The difference between gelato and ice cream is that gelato has less fat and a more intense flavor achieved through a slower churn. Gelato uses whole or part-skim milk for the base whereas ice cream uses cream. Making gelato at home allows you to cut back on the sugar and use beautiful, fresh flavors instead. Check out my video for Vanilla Bean and Blueberry Gelato to see how easy it is. Use ripe bananas and a quality whole milk for the best creamy and fresh tasting gelato. My favorite milk is made by Fairlife. They run high-quality real milk through a unique filtration process. The result is a delicious, nutrient-rich ultra-filtered milk with 50% more protein, 30% more calcium, and half the sugars typically found in dairy. The flavor is clean and pure. 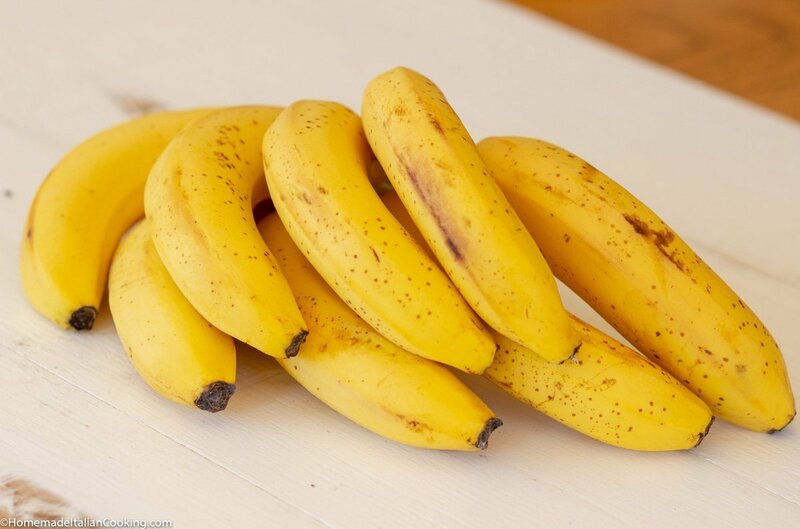 Gently heat milk and bananas in a saucepan, and then puree in a blender to create a smooth banana base. Combine with egg yolks, sugars and vanilla extract and cook until it becomes a lovely custard-like gelato base. Place the chilled gelato base into your ice cream/gelato machine and let slowly churn for about 20 -30 minutes. Freeze in containers until ready to use. 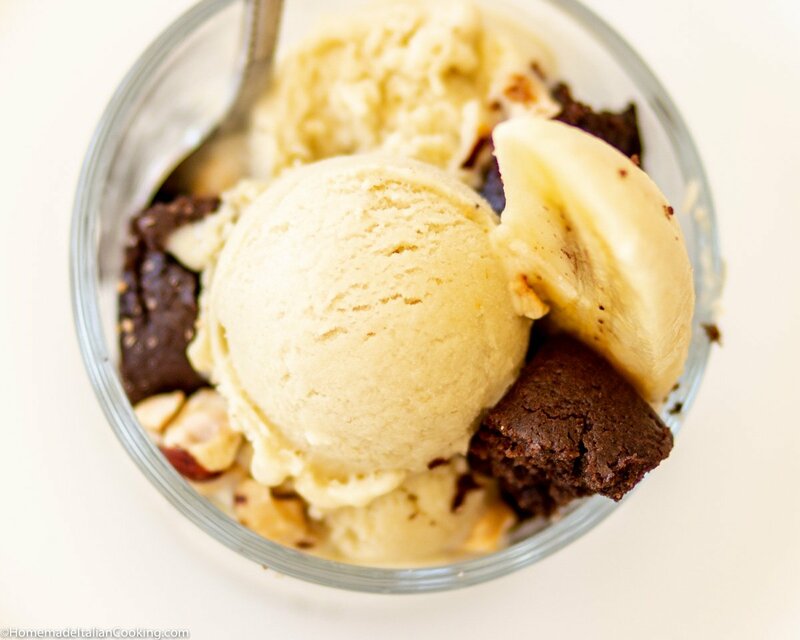 Banana Gelato is yummy by itself, but paired with dense, chewy brownies and toasted hazelnuts turn this parfait into something amazing. Or serve with a simple chocolate syrup on top. 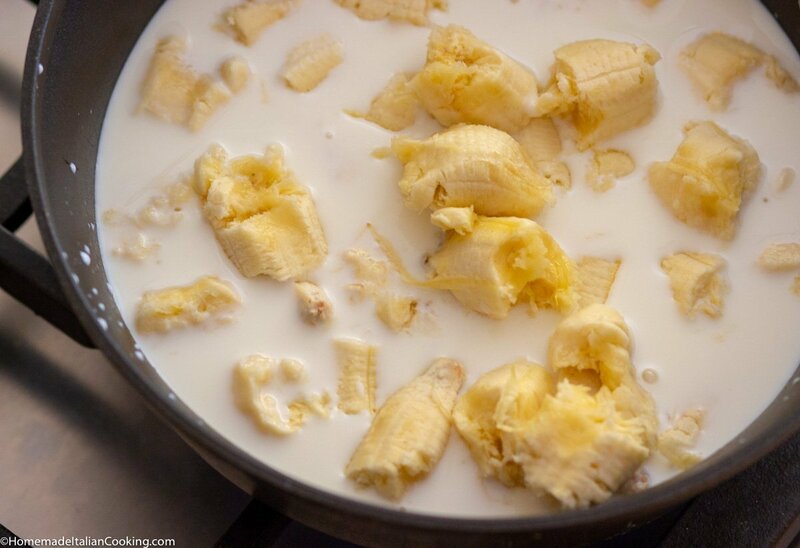 In a large non-stick saucepan on the stove pan, heat milk and bananas over medium heat. Bring to a simmer, reduce heat to low, and simmer 10 minutes. Do not let the milk boil. Take pan off heat, and allow to cool for 5 - 7 minutes. Beat yolks and sugar in a large bowl with a hand mixer at high speed until thick and pale yellow. Set aside. Place the cooled milk and banana mixture in a blender or food processor and puree until smooth. Return mixture to saucepan and set over very low heat. Slowly stream half of the banana puree into the yolk/sugar mixture, whisking the whole time. This will temper the eggs. Slowly whisk the combined egg/sugar/puree mixture to the remaining warm banana puree in the saucepan. Set over low heat and cook until mixture coats back of a spoon, about 2 minutes. Stir in vanilla, salt and cream. Mix well. Transfer the gelato base mixture to a large glass bowl. Cover with plastic wrap and place in the fridge for 4 - 6 hours, or overnight to thoroughly chill. 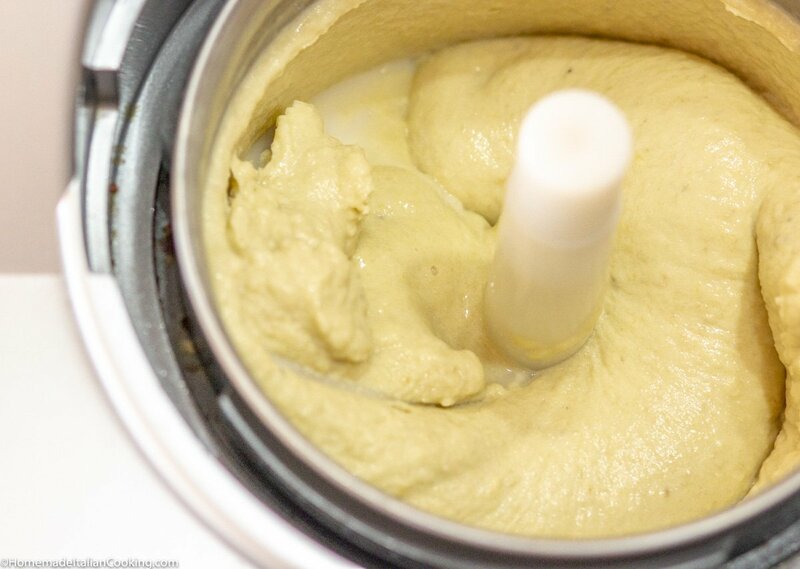 Transfer the chilled gelato base to the canister of an automatic gelato/ice cream machine, and churn according to directions for about 20 -30 minutes or until the desired texture is achieved. Store in a covered freezer container.